Click on any date below to look at our weekly copy of "The LINK" which contains details of our Sunday services, Notices and other current information on the church. 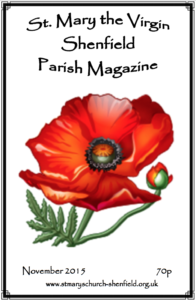 If you would like to receive the Parish Magazine regularly to know what's going on, why not take out a subscription via Jo Gurney and have it delivered to your door for only £7 per year? Order forms are available in the rack of the display area in St Mary's Church. If you would like to submit an article or report for publication, please contact the Editor, Nicola Hearn.